It’s that time again—time for a Polish beer review! 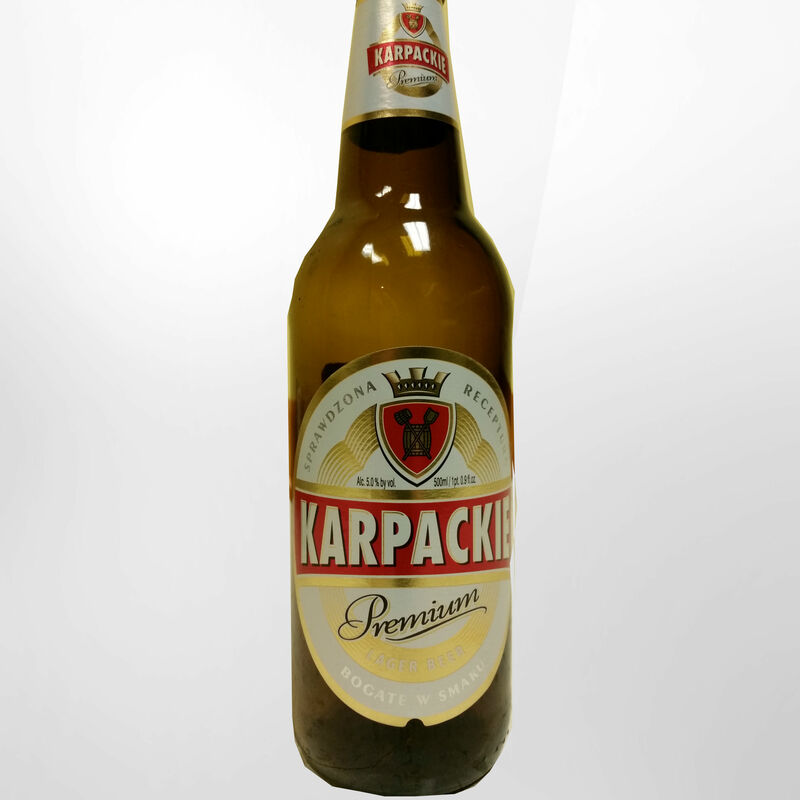 Today’s lucky lager is Karpackie Premium beer, brewed by Van Pur brewing company in Rakszawa, Poland. If you’re looking for a beer with a long and rich history, then Karpackie is not for you. Normally, I like to devote time to sharing the beer’s origins and history, but in this case, there is little to report. The Van Pur brewery dates back only to 1992. Although it has expanded since then, its beers simply do not share the heritage of a Warka or a Tyskie. Karpackie is just one among many beers brewed by Van Pur. It’s name—which translates to “Carpathian”—is meant to evoke the mystique of a mountaineer’s beer. Unfortunately, it doesn’t appear to be super popular in Poland. I recently spoke with a Pole who admitted not even having heard of the beer, making it ironic that I was able to find it in the United States. I was not disappointed with the beer itself. The keyword to describe it is sweet. Before tasting it I took a whiff and noticed a syrup-like smell. When poured, it has a decent head of bubbles, but they dissipate fairly quickly. The taste is light and sweet—some other reviewers have described it as having a light cinnamon flavor. I would liken it more to honey. Karpackie’s aftertaste also leaves a very nice, sweet flavor in your mouth. Like many other Polish lagers, it’s only 5.0% ABV, making it easy to put down one or three of these. Overall, no serious complaints. Karpackie may not be the nectar of the gods, nor have a long and mysterious history, but it gets the job done. 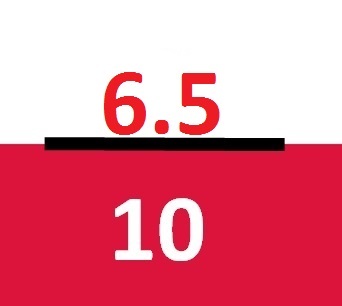 Overall, I give it a 6.5/10 only because there are many other better Polish beers to choose from.